Surrounding myself with SMART people is my highest priority. Amanda is knowledgable with reporting, analytics, email campaign creation, and building processes. We started working together because I wanted assistance with the automated part of Red Direction’s marketing. Her ability to take the steps out of my head, create a repeatable system, and execute it on a specific schedule is her specialty. We started using InfusionSoft, and I asked for her help to connect company initiatives to best use the system to make extremely customized experience for clients keeping integrity of the brand. She has done that, and continues to work with me to develop new campaigns and contact points. Red Direction benefits from Amanda’s time management, love of technology, and a curiosity to best use the technology we’ve chosen. She’s more than a vendor, as a contractor she provides a specific need for our business – and we are more productive because of it. A year ago, I felt as though I were sinking in quicksand, feeling overwhelmed with the workload of running my thriving 30-year coaching and writing practice. I needed help digging out from the administrative pile, so that I could be more productive and less stressed — with more margin in my life! As the piles mounted, one day I asked myself, “How long do I keep impeding my business and happiness?” I reached out to my network in search of a virtual assistant. Amanda came very highly recommended. On our first call, I knew she was a gem. I was so right! She has been my collaborative partner in taking care of everything from my online identity and reputation branding, to connection with my existing clients … and so much more! I’m out of the quicksand and on solid ground, doing what I love most because Amanda’s doing what she does best – taking care of my business so that I can too. Hire her! I am so glad I found Amanda. She is vital to the running of my business. Without her I would have no social media presence or website. I hired Amanda to help keep me moving forward on my business tasks and increase my social media presence. She has done both. I love working with Amanda. She not only gets things done but she is pleasant to work with. A true team player. Amanda has been instrumental in helping me develop the infrastructure and processes I need to efficiently operate my business. Not only is she highly skilled at developing and implementing new processes, but she also introduced me to an array of valuable tools and resources that are now fundamental to my approach. Amanda is a whiz at learning and applying new technologies. She’s also incredibly knowledgeable about social media and other forms of web-based marketing. Beyond her diverse and flexible skill set, she is highly responsive, reliable, and enthusiastic about her work. I couldn’t recommend Amanda more highly! Amanda Norris is exactly what I need. Highly experienced with web-based tools that greatly enhance efficiency. My time spent on administrative tasks has decreased and I am much more organized. She is extremely resourceful, always responsive and is really great to work with. I’m so glad I found her! 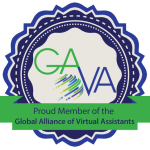 I absolutely recommend Amanda Norris as a virtual assistant. Are you feeling overwhelmed with tasks that are essential and repeatable? Are you frustrated with a lack of process? Do you need to research something for your business? I was in exactly that position at one point–but not anymore. Amanda assessed my situation, listened to my needs, and executed flawlessly, with intelligence and consistency.